of office accommodation, six flagship stores and seven restaurants – set within revitalised public spaces, including a new square and art pavilion. 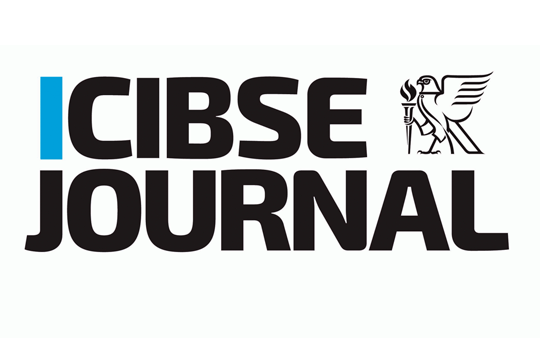 The project included the installation of a full metering system to comply with Part L of the Building Regulations and to meet the operational requirements of the property after completion. 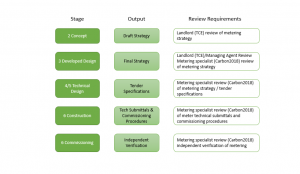 Carbon2018 was commissioned as metering consultants, and the metering strategy review requirements, throughout all stages of the project, were clearly defined at the outset (see Figure 1). 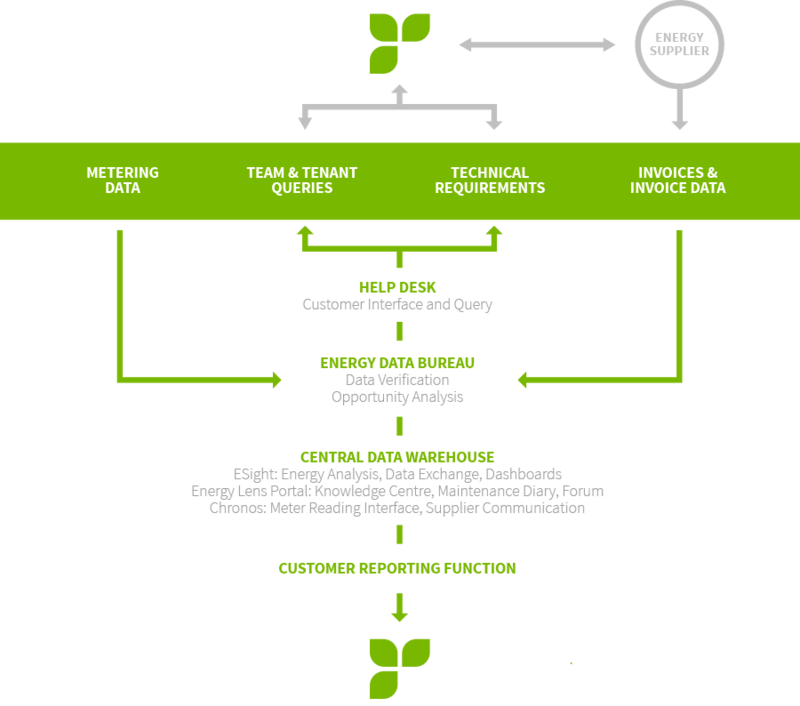 Objectives and desired outputs underpin any successful metering strategy. 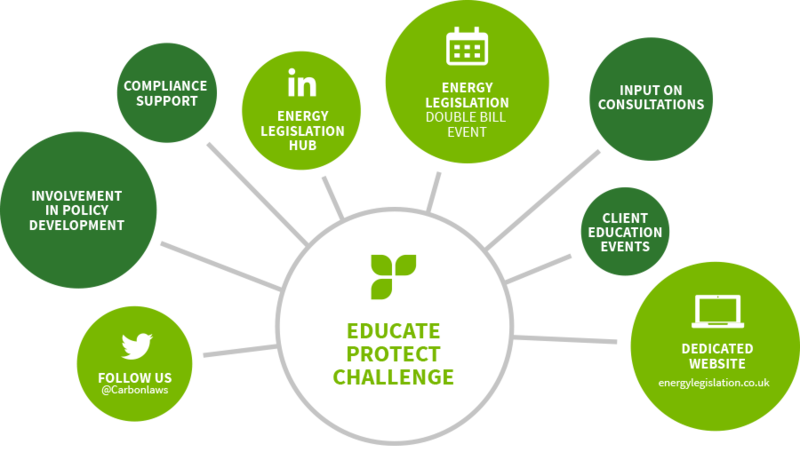 When setting out the objectives, it was necessary to engage with all stakeholders, including: the design team; the main electrical and mechanical contractor, and appropriate subcontractors; the managing agent; and Carbon2018. 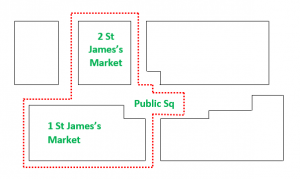 It was important to ensure energy use was captured across the whole St James’s Market site, including the square’s external lighting. The metering was to encompass electricity, gas, heating, cooling and water for the services that fall within the boundary line (see Figure 2). 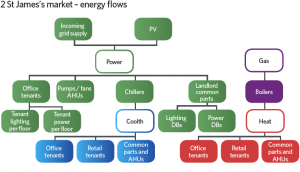 Each of the two buildings has its own incoming utility supplies and central plant services; from an energy perspective, there is no cross-over between the properties. Both buildings have photovoltaic (PV) solar panels on the roof, and 1 St James’s Market has a combined heat and power (CHP) unit, so there is generation of power on site. The capacities of this equipment have been sized to support the buildings’ base-load power, and there will be no export of energy back to the grid. The only energy crossing the boundary is from the incoming gas supply and grid power supply to each block. 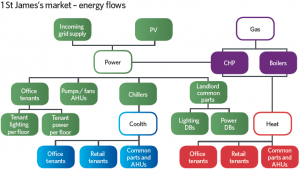 A list of the main end-use categories inside the boundary was developed and the typical energy flows through the building identified (see Figure 3). This included inputs and outputs of central plant where transformation of primary energy to secondary energy takes place. Following the energy flows through, it was clear that the CHP adds complexity to the meter requirements, as gas is used on site to generate heat and power, and the quantities of each needed to be tracked. The initial metering strategy was developed as part of the base-build electrical and mechanical design. At this stage, the scope appeared comprehensive, with 90% of the energy for end-use categories metered and heat meters for the floors. The strategy included: electrical meters to record power and lighting; heat meters for low temperature hot water and chilled water energy use; water meters; and oil meters for the standby power capacity offered by the generators. A review was done and further meters added to ensure all objectives were met. Meters were sized according to flow rate, to ensure they record accurately, as mechanical meters specify minimum and maximum flow-rate thresholds within which they will operate correctly. The AMR systems had to be able to pick up pulse outputs from the water and gas meters, and Modbus protocol from the electricity and heat meters. A hardwired system was chosen to ensure reliability of communications between the meters and logging equipment. A connection was made to the internal LAN system, which has a broadband link to enable remote access and export of data. Separate onsite head-ends were supplied, specific to each building. 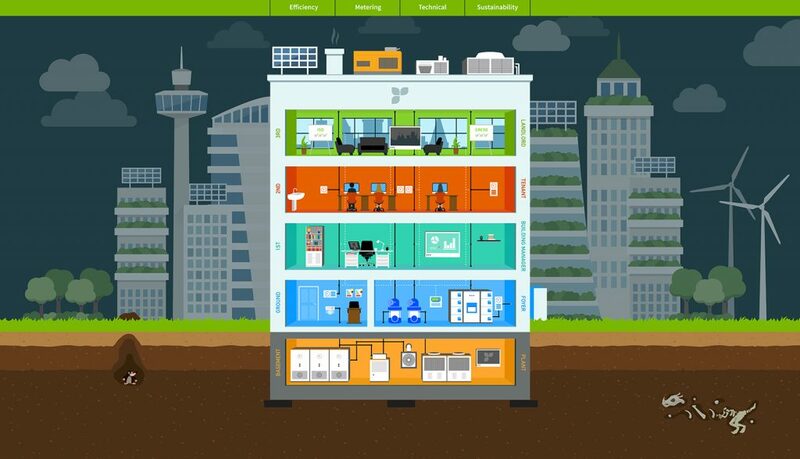 A dashboard function allowed the onsite building manager to analyse and manage energy on a day-to-day basis. The meters on the main office floors were located within the risers, for easy access. They could be found in the same position on each floor, at a height that allows readings to be taken without the need for stepladders. Additional meters – within the plantrooms and electrical switchroom – were also in easily accessible areas. For mechanical meters, consideration was given to orientation, to ensure they are at the most appropriate angle to be read while complying with the installation requirements. A full review was completed at design stage, with input from all stakeholders who would need to use the data output. Several reviews were undertaken during the project, as illustrated in Figure 1. This was important because modifications were made that had a knock-on effect on the metering. The initial review focused on the position of the metering, but – as the project progressed – it was necessary to review the type of meters being used. Technical submissions were analysed and approved to ensure they met the agreed requirements. Commissioning procedures were also examined to ensure they reflected the specific meters installed, and that building users were left with a system that delivered in practice. Agreed changes and updates were clearly documented, with amendments made to the drawings and schedules. Most manufacturers stipulate that flushing water-based systems during commissioning could damage heat meters, so flushing is typically done with spool pieces installed. These are replaced with meters once flushing is complete and, as a result, meters are often one of the last items to be completed and commissioned. 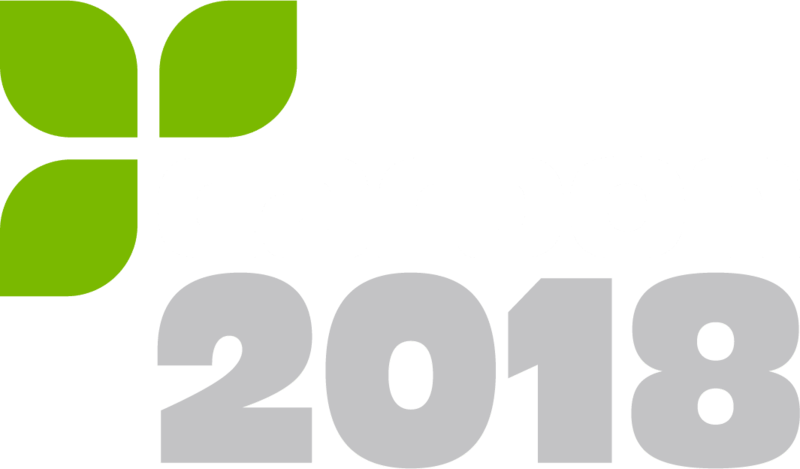 Independent checks were carried out by Carbon2018, to verify that meters had been correctly installed and commissioned, and were in line with the specification developed during the project. Any issues were logged, with an agreed action and timescale, and then rechecked after remedial work. Periodic meter verification will be done, to ensure their accuracy is maintained. Commissioning records for each meter.